In a move sure to shake up the regional less-than-truckload freight market in Northeast and Mid-Atlantic states, New England Motor Freight on Feb. 11 said it is seeking Chapter 11 bankruptcy protection and said it will shut down all of its trucking operations. The Elizabeth, N.J.-based company has been in business since 1918 and is headed by Myron Shevell, a local trucking operator who bought the business from Farmland Dairies in 1977. The decision to cease operations came after absorbing two years of significant losses, according to Vincent Colistra, senior managing director at Phoenix Management Services and chief restructuring officer for the trucking company. “We have worked hard to explore options for New England Motor Freight,” Colistra explained in a statement posted on the company’s website on Feb. 11, “but the macroeconomic factors confronting this industry are significant. New England Motor Freight is part of the Shevell Group and was a major provider of freight services in the New York and New Jersey metropolitan area, although services extended as far west as Chicago and included handling shipments into Canada and Puerto Rico. The company did business with many large retailers and that, according to several industry observers, may have contributed to its demise. “NEMF was burdened by several large underperforming contracts, including Amazon.com,” said Evan Armstrong, president of Armstrong & Associates, a logistics industry research firm based in Milwaukee. The trucker is the biggest LTL carrier to shut down since CF Motor Freight closed its doors in 2002, when it ranked No. 3 on Transport Topics’ list of the largest for-hire carriers in the LTL sector. NEMF ranks No. 18 in the less-than-truckload sector with revenue of $400.5 million in 2017. “It just shows if an account can’t stand on its own, more volume doesn’t help,” he said. There is also a lesson in what has happened to NEMF for union representatives, says Satish Jindel, an industry consultant with close ties to companies in the LTL and parcel sectors. NEMF employees were represented by the International Association of Machinists and Aerospace Workers and, according to Jindel, the union rejected a contract proposal in 2018 that included changes in overtime pay, among other things, that might have staved off bankruptcy. “The timing couldn’t be more crucial,” Jindel said, noting that contract talks are currently underway between the Teamsters union and LTL carriers that are part of YRC Worldwide. 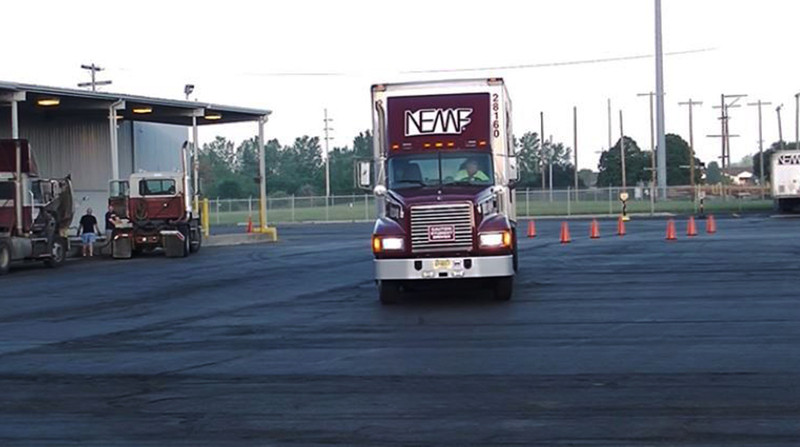 The loss of NEMF is likely to cause a bump up in rates as other carriers try to fill the gap in service, said Ryan Poynter, vice president of carrier relations and pricing at GlobalTranz, a provider of third-party logistics services based in Phoenix. Poynter said he expects rates for LTL shipments to increase 3% to 5% in the short term with the possibility that some freight with less-than-desirable characteristics will go begging. Ted Morandin, a transportation real estate expert with Morprop Advisors in Annapolis, Md., said he expects to see NEMF terminal properties picked up by other carriers that have recently expanded operations into the Northeast. Atlanta-based Saia LTL Freight, for instance, has opened 10 terminals in the region since May 2017 and plans to open six more this year, according to CEO Rick O’Dell. NEMF reportedly listed assets, in its filing in the U.S. Bankruptcy Court in Newark, N.J., of $100 million to $500 million and debts between $50 million and $100 million and $59 million owed to four banks as the company’s largest unsecured creditors. Shevell Group ranks No. 70 on the Transport Topics Top 100 list of largest for-hire carriers in North America with consolidated revenue of $439.5 million in 2017. Altogether, it employed 3,745 people and operated 1,500 company-owned tractors, 247 owner-operator tractors and 5,596 trailers.